Get simplicity all in one with this Amish nightstand! 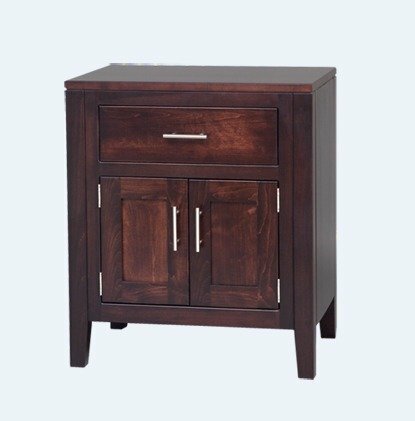 The Amish Tuscany 2-Door Night Stand is crafted entirely from solid wood and finished in the finish color of your choice. Our Amish woodworkers will pay close attention to detail in every construction aspect of your new solid wood nightstand. Call us at our toll free number - 866-272-6773 if you have any questions or concerns! We are also easy to reach through email at Questions@DutchCrafters.com.